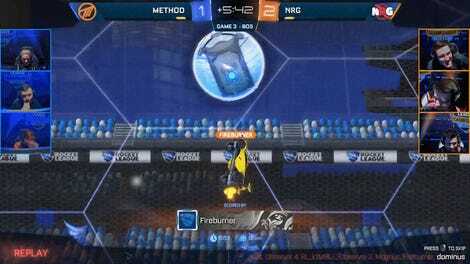 In today’s European play-in qualifiers for the Rocket League Rival Series, team Triple Trouble showcased some beautiful coordination in setting up a clean shot on the goal by bumping out the defenders. 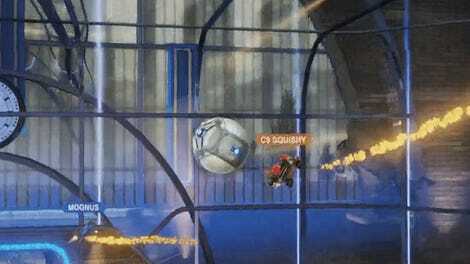 As Ronaky sailed through the air towards the ball, his teammates seized the opportunity to bump the opponent Zebra Nose’s cars with their own, clearing the way. The two Triple Trouble players were in just the right spot to slam themselves into the defenders’ virtual bumpers. With both knocked out of the way, the Zebra Nose goal was wide open. 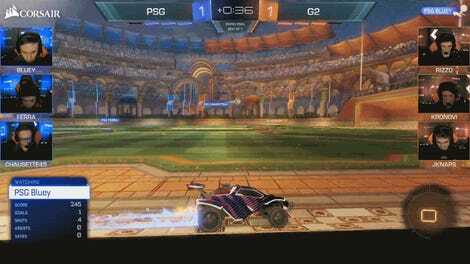 It’s a little like a check in hockey, and since there aren’t any red cards in Rocket League for contact, all’s fair. 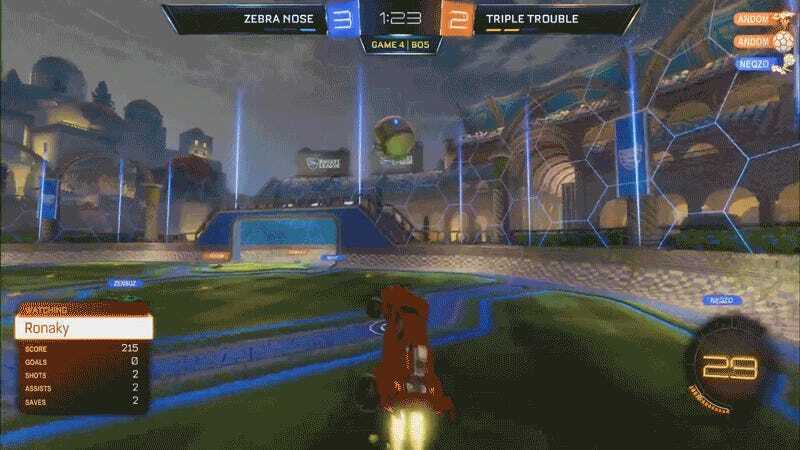 Triple Trouble went on to beat Zebra Nose 3-2, earning a spot in the Rival Series. From there, the team can compete against other Rival teams to earn a spot in the Rocket League Championship Series next season. If they’ve got plays like this, I’d say they have a decent chance.